It was a great pleasure to be a part of the artistic endeavor that is IceBlocks in Midtown Sacramento. I worked closely with the developer, Michael Heller, to imagine and create a lit sculpture out of a remnant boiler from the old Crystal Ice Plant. The revised art version, Twenty-four, is now on the corner of R and 17th Streets. 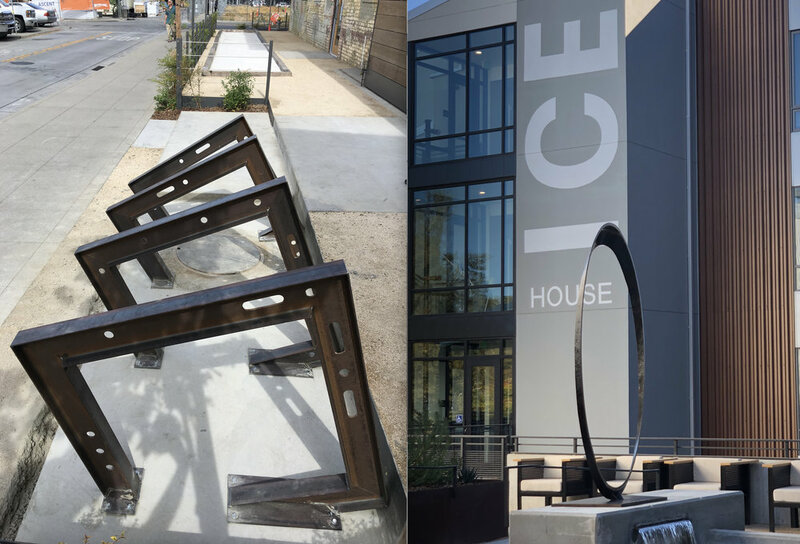 I also worked with CADA on the bike racks in front of Philz Coffee- titled Dashes and Dots, and placed a third sculpture, Aperture, in the courtyard above the retail area. It's a fantastic new destination for Sacramento, and I'm proud to have been a part of it. Read more about what’s happening at the IceBlocks.